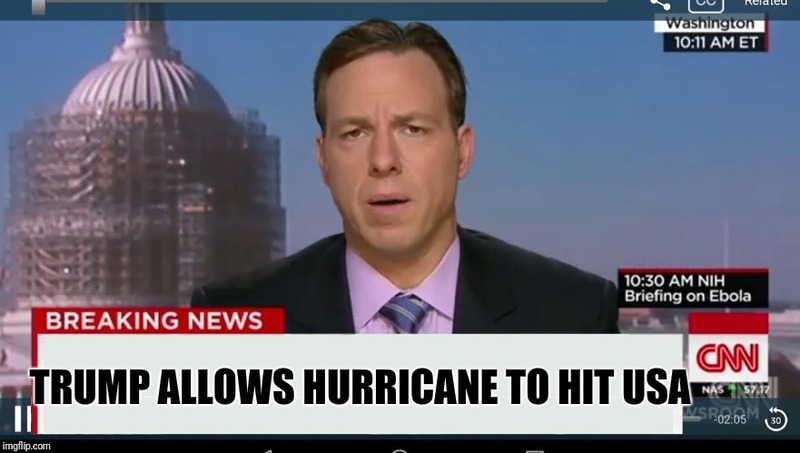 In last night’s Whistleblower Wild Weather Warning we were all waiting to see if our Disingenuous DemocRATS and the Destroy Trump Media Establishment could turn Hurricane Florence into Trump’s Katrina. 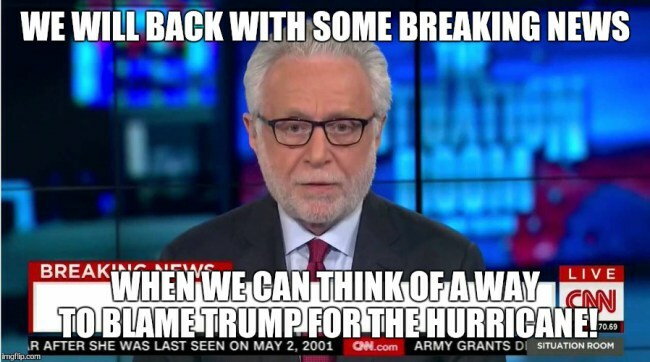 All day today, Lunatic Leftists were Politicizing Disaster Relief, Manufacturing Outrageous Claims About 2017 Hurricane Relief Efforts and Condemning The Trump Administration’s Response To Hurricane Florence That Hadn’t Even Happened Yet. 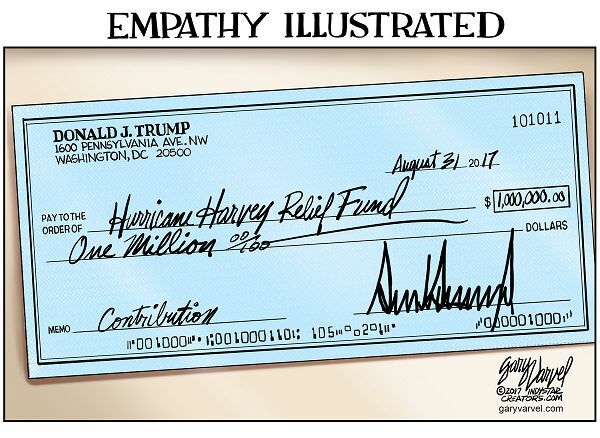 President Trump was criticized by some for not showing empathy on his first trip to Texas to witness the devastation from Hurricane Harvey. That’s because during the next 54 days until the most important Mid-Term Elections in History (since the 2018 Mid-terms are now a National Election –more than mere mid-terms– and a referendum on everything Trump has accomplished), while Congress and the Leftist Media Establishment will continue to lie and say really stupid things without a smidgen of journalistic integrity in their effort to advance their Radical Leftist Agenda. Beloved Whistleblower Publisher Charles Foster Kane Says The Conservative Agenda Is Now Completing Working On Donald Trump’s Sixth 100 Days To Make America Great Again. Today Is Day Number 601. There Are Now Only 781 More Days Until Trump’s Re-election Day on November 3, 2020. 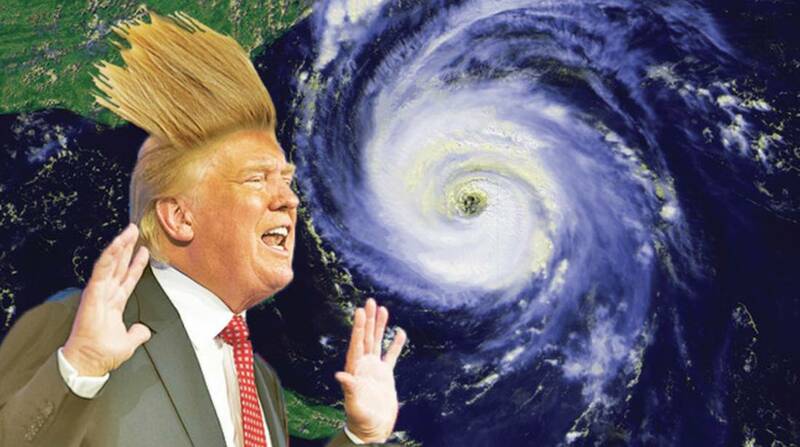 This entry was posted in Uncategorized and tagged Condemning The Trump Administration’s Response To Hurricane Florence That Hadn’t Even Happened Yet, Destroy Trump Media Establishment, Disingenuous DemocRATS, Outrageous Claims About 2017 Hurricane Relief Efforts, Politicizing Disaster Relief, Trump isn’t showing enough “EMPATHY”, Turn Hurricane Florence Into Trump’s Katrina, Whistleblower Wild Weather Warning on September 14, 2018 by charlesfosterkane.